It's time for a new performance comparison... It's time for (perhaps) the most addictive soccer game in history... Ladies and Gentlemen.. Pro Evolution Soccer 2011!!!! Alright, let's talk 'bout which program you're gonna use for this game. Don't even try that. The game doesn't work on GameTree Linux! - Needs "Microsoft Directx Runtime - Modern" and "Microsoft Visual C++ 2005 Redistributable". - Needs a little tweak (explained below) to make GFX sound work. - Needs "directx9" and "vcrun2005" packages. - Needs a little tweak (explained below) to make sound work. This time, FPS are good and the game is playable in each and every in-game situation. videocard_ram: 1024Feel free to send me an email or leave a comment if you got some problems or if you just wanna ask me a question. I will always answer you! I'm sad to tell you that the game doesn't work on Chakra. Someone said that is playable on Arch Linux, but i couldn't do it. I'm sorry for that. So now, my graphs will show the difference between Ubuntu 11.04 64-bit version (with no Compiz) and Windows 7 Ultimate 64-bit. That's what i've been saying before... Performances are great on wine, i could say as great as Windows. Unfortunately, Crossover does not work so well, increasing the frames too much. As you could probably notice also, i wasn't able to run Pro Evolution Soccer 2011 with high settings on Crossover Games, so i tested only PlayOnLinux with high settings and i compared it to Windows 7. The process takes about 15 minutes. - Apply a noDVD crack. - Install "directx9" and "vcrun2005" packages via Winetricks. - Set "Windows 7" as OS under Wine Configuration to make sound work. Now you can adjust some options running "settings.exe" and then play the game running "pes2011.exe" (or just use PlayOnLinux shortcuts). That's all. Feel free to send me an email or leave a comment if you got some problems or if you just wanna ask me a question. I will always answer you! tasks are fantastic on wine, i could say as fantastic as Windows. 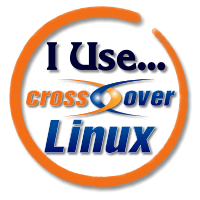 Unfortunately, Crossover does not operate so well, growing the frames as well much. I have played the online games especially the wow for a long time and I have some good suggestions for everyone to get the bestSell WOW Gold via more easy and safe ways, I also have the best advice for you of the Cheap WOW Gold, please don't hesitate ! Well, unfortunately, commentary and music do not work on PES 2012, but you can hear GFX sounds if you use wine 1.3.29 version. Use PlayOnLinux or download the sources and compile it by yourself.. I followed your instructions exactly as you described, including Wine version. Using wine version 1.3.26 as suggested didn't recognize my entire RAM and VRAM limiting my resolution settings too. For me no player name layer, radar, scoreboard using newer wine versions. With 1.5 I could get sound working. Problem solved!! I needed to add a line on the registry. Then if you have a hybrid graphics system, add optirun to the PES shortcuts commands string. Like this: optirun /usr/share/playonlinux/playonlinux --run "PES2011"
Sorry for the delay man, i was sick. I'm glad you found a solution, that could be helpful for other users.. Thank you! I have installed quite a few times now. It used to work perfectly, now I am unable to get it working at all. Just out of interest, do you install vcrun2005 thorough play on Linux as well? BlueHost is definitely the best web-hosting company for any hosting plans you need.